Whether you are getting ready to hit the offshore Tournament Trail, take your trawler on the Great Loop, or just take your family safely to the nearest swimming hole, you need reliable service options, expert support and quick response turn-around’s. We take that seriously. 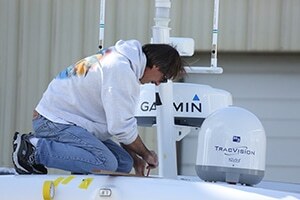 Bluewater service started as a support arm for the original Bluewater Yacht Sales and a necessary tool to support a spin on the Power Boat racing circuit. Those days are a part of our history now, but the origins of our intent took root there. Family owned and operated, at first it was just family and friends. We cruised together, fished together and hung out on the sandbar–and when something broke we fixed it. The heart of that has not changed in the past 35 years. 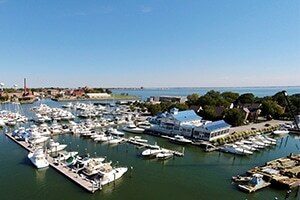 Headquartered in Hampton, Virginia, Bluewater’s primary service facility sits just off the Chesapeake Bay adjacent to the site of the 200-plus-slip, Bluewater Yachting Center which opened in 2002. The original Bluewater Main Yard opened in 1977. 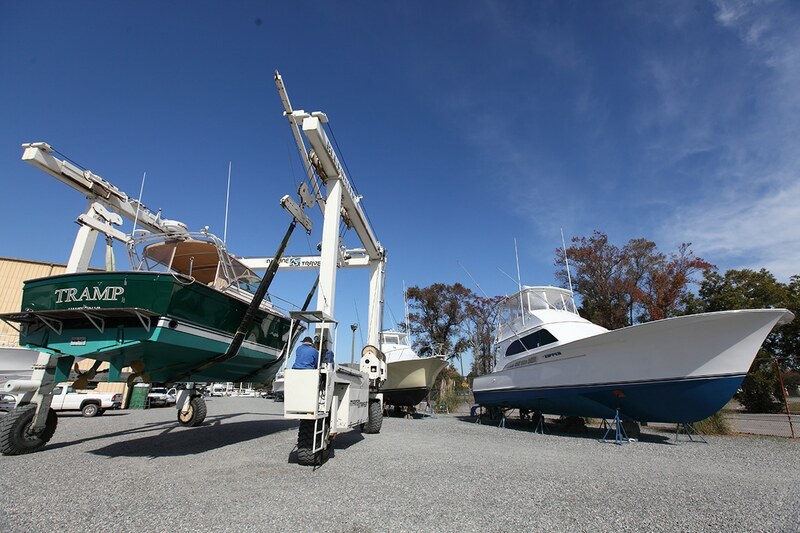 The facility now includes two modern, state-of-the-art full service yacht yards. 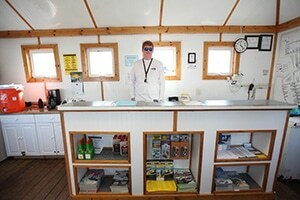 In 2005 Bluewater expanded with full service facilities to Wanchese, North Carolina–the Bluewater Outer Banks Yacht Service. Since its inception, marine service has been a primary focus and function for Bluewater. Initially focused on rigging, repairing and maintaining the recreational yachts which comprised Bluewater’s initial dealership support—solid diversification and steady growth over the years ensured expansion into all aspects of marine services. Today, Bluewater’s extensive facilities maintain full capabilities across the board, including engines, welding, machinist, metal work, wood & composite-work, mechanical, electrical, electronic and complete rigging up to and including total custom construction. Currently, Bluewater employs over 100 skilled craftsmen and technicians and their pride in the craft shows. Bluewater is a deep-rooted, financially-strong marine company with a proud legacy of above industry standard qualified personnel and loyal satisfied customers.